The days are shortening and the nights are cooler. It’s not quite cold enough to turn the heat on, but the warmth of a fireplace sure would be enjoyable. 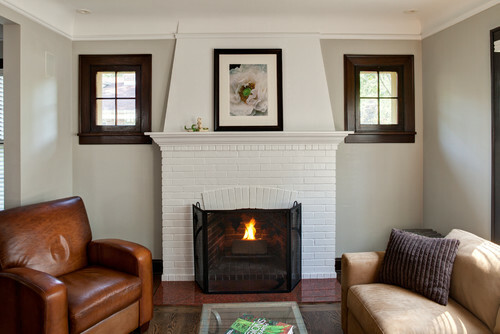 For today’s Humpdays with Houzz, I’m featuring a collection of 10 fabulous fireplace ideas. 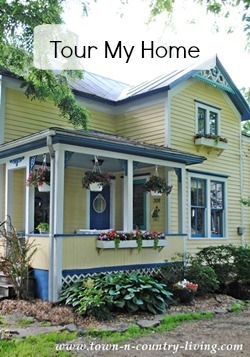 Let me know which one you would choose for your house! A charming stone fireplace looks like it’s straight out of an English countryside cottage. 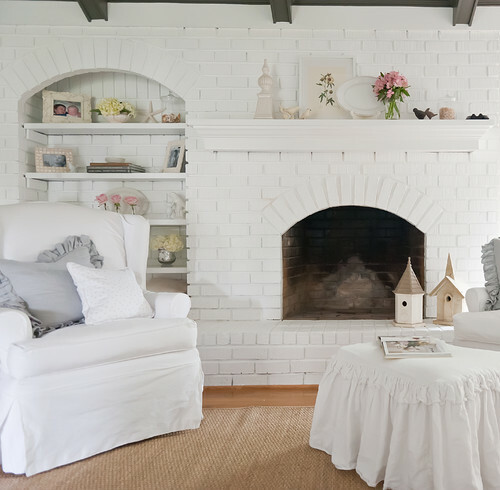 A simple brick fireplace is painted white keeping the room from looking heavy. How about a fireplace with a Gothic look? Do you like it? 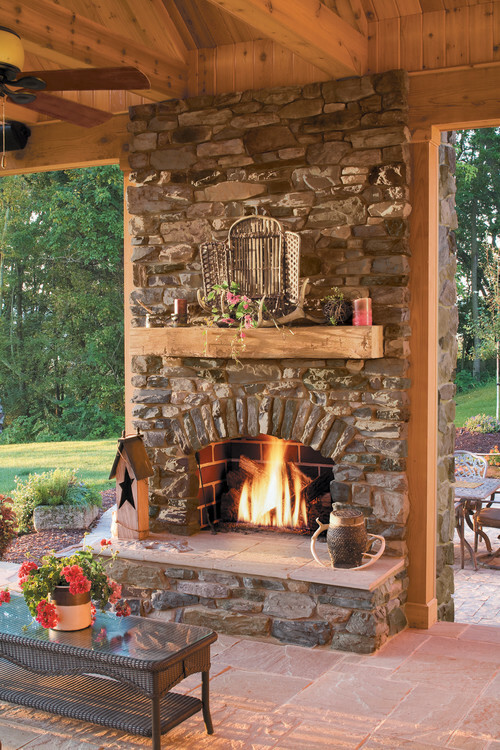 I love the idea of an outdoor fireplace and this one is so pretty! 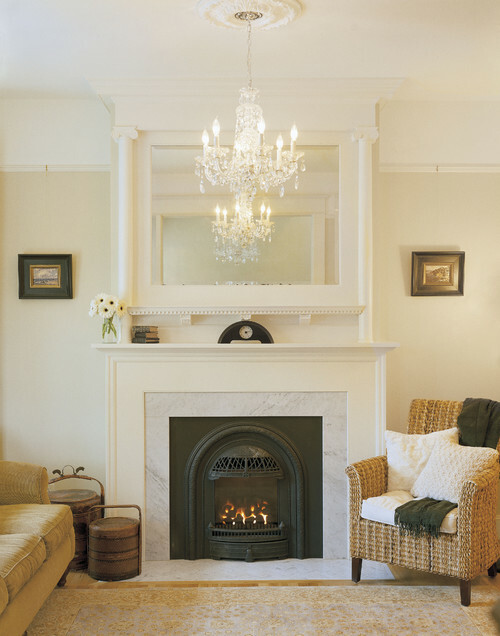 An elegant fireplace is paired with a fancy chandelier. Added bling is achieved by clever placement of mirrors that reflect the chandie. 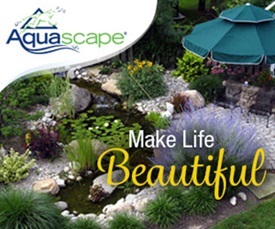 Double your fireplace pleasure with a 2-way fireplace. 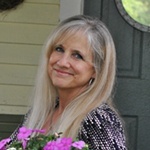 This one can be enjoyed from either the living room or the kitchen. 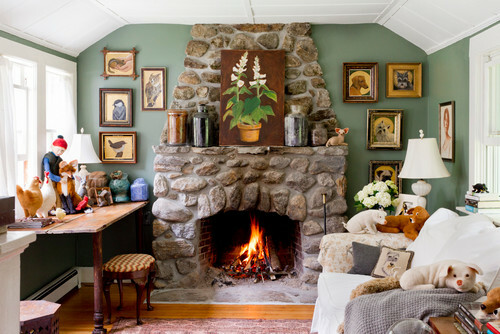 A cottage cute fireplace extends along an entire wall in this cozy room. 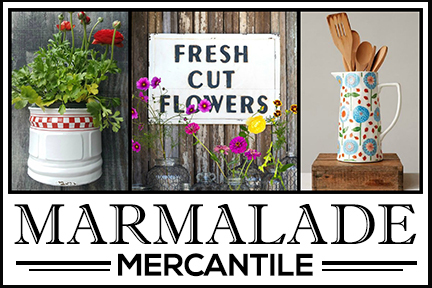 Perfect for the shabby chic lovers out there! 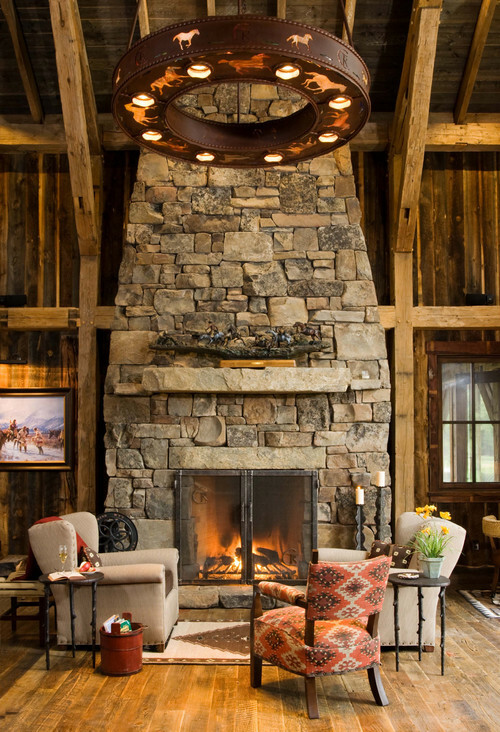 Drama is created by a rustic fireplace that extends to the high ceiling. In my childhood home we had a fireplace similar to this one, but not as rugged. We used to climb to the top of it, much to my mother’s dismay! 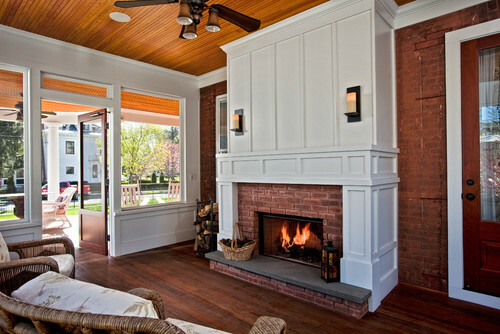 Traditional Sunroom by Saratoga Springs Design-Build Firms Teakwood Builders, Inc.
Can’t decide between a brick or wood fireplace? Why not combine the two? And finally, we’ll end with this unique fireplace tucked in a bedroom. 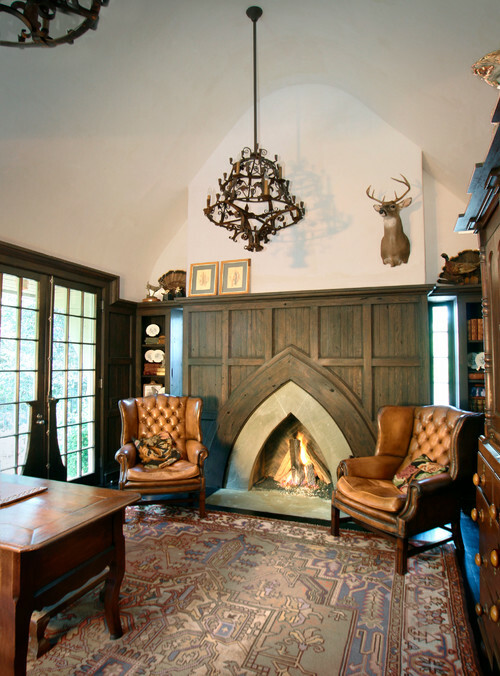 So which of these 10 fireplace ideas is your favorite? I have a few favourites from this post. 1,2,4,7,8 and 10. I think I like the natural stone and more rustic looking fireplaces. We’ve had a few cooler days and nights mixed in with some really hot days. We have a fire going this morning just to get the chill out of the air. I love a fire. I’m sitting here catching up on blog posts with a cup of chai and the fire going next to me. So cozy. 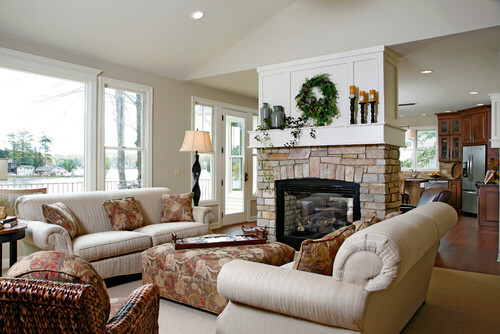 What a great collection of fireplaces! I especially love the 2 sided fireplace. I think having a fireplace open to the kitchen, as well as the living room, would be a dream. Thanks for the inspiration. What a great set of fireplaces. Love them all. I really miss having a fireplace in this home we live in. They are so romantic and gorgeous. Thanks for all the inspiration. I like #1 and #7. They are cozy and feel like home to me. Unusual for me because I don’t like all white rooms, but this one is sweet. Love the two way and the one in the bedroom…so romantic. I can remember brunch morning around the fireplace. We would have quiche and pecan pie. (some combination…) Those are memories.